At the end of the post, it also disavows a workaround its officials had been dispensing that involved backing up SkyDrive, deleting its root folder and files and restarting the application. 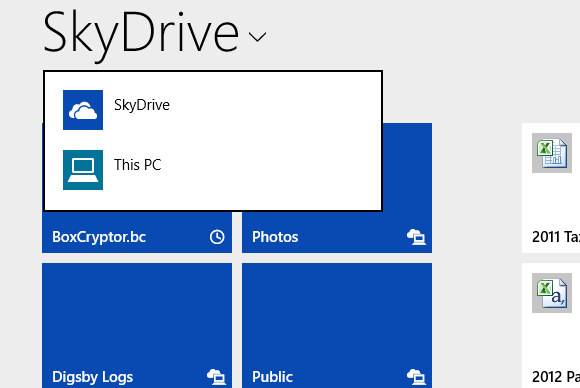 “If you’ve previously seen the instructions below on other posts, please DO NOT use them as they are no longer valid for SkyDrive on Windows 8.1,” the post reads. Asked for comment, a Microsoft spokeswoman said via email on Tuesday that the company makes "every effort to ensure our support forums are functioning as a source of helpful and reliable support for our customers, which means we periodically update information to stay current. To this end, we updated the instructions for ease of use and clarity." Until then, Microsoft hadn’t addressed the topic with a permanently “pinned” message on the site, opting instead to dispatch its forum moderators to the individual discussion threads. Asked at the time for comment, Microsoft said via email that it was “aware of a small number of people discussing these issues on forums” and that it was working with them individually, often by phone, to solve their issues. “Most people using Windows 8.1 and SkyDrive, however, are having a good experience,” a spokesman wrote at the time. Aside from the now-disavowed workaround, forum moderators didn’t seem able to pinpoint a cause nor prescribe a solution for the problems people were reporting, including nagging and persistent error messages, slow performance, difficulty uploading files, lost and corrupted folders and documents, and sync troubles, including duplicate files and processes caught in a loop. The SkyDrive app in Windows 8.1. The number of discussion threads dealing with the issues and the number of people participating in them seems very high for a problem that Microsoft so far maintains isn’t generalized. SkyDrive, Microsoft’s cloud storage service, is a key product for the company as it transforms itself from being a provider of packaged desktop applications into a provider of cloud-based software and services. SkyDrive is the underlying, common cloud storage service for Windows, Office and other major Microsoft consumer products. A version called SkyDrive Pro is a key component of enterprise products such as the Office 365 cloud email and collaboration suite. Meanwhile, Windows 8.1 was designed to address major complaints that plagued Windows 8. However, Windows 8.1’s rollout has been bumpy. The OS update was hit by a variety of serious and disruptive bugs in the days and weeks following its release, including computers that couldn’t boot up, peripherals that malfunctioned, software that couldn’t be run and OS installations that couldn’t be completed.